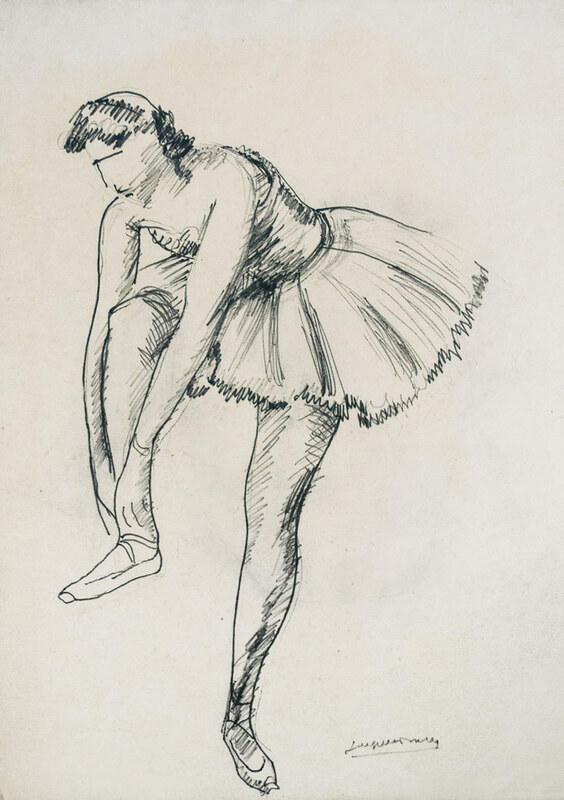 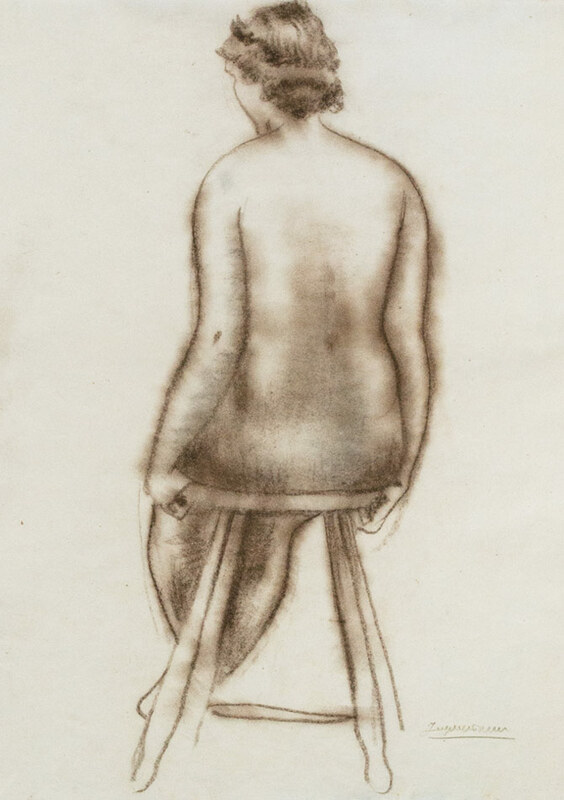 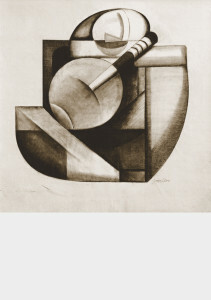 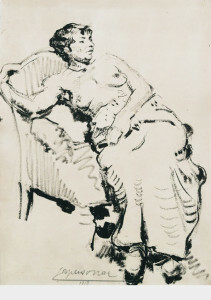 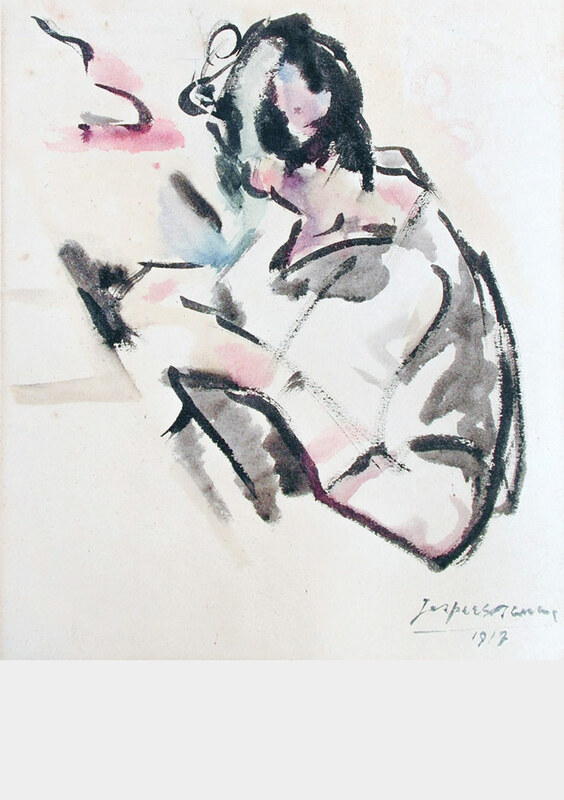 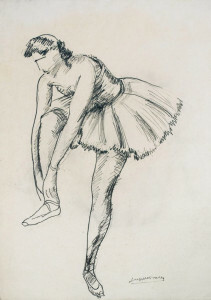 Oscar Jespers drew throughout his whole life, with a rather impressive amount of drawings made between 1914 and 1920. 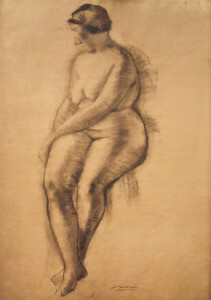 During his Cubist sculptural period, 1921 until about 1930, he drew very little and he made still fewer drawings during his Expressionist sculptural period, 1930 until 1935. 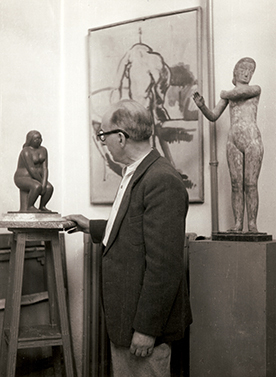 Jespers was undeniably preoccupied with his innovative stone sculptures to dedicate much time to drawing. 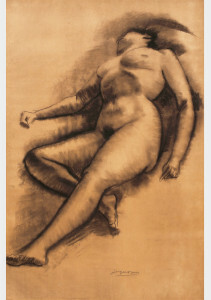 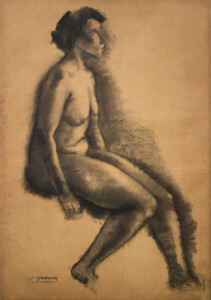 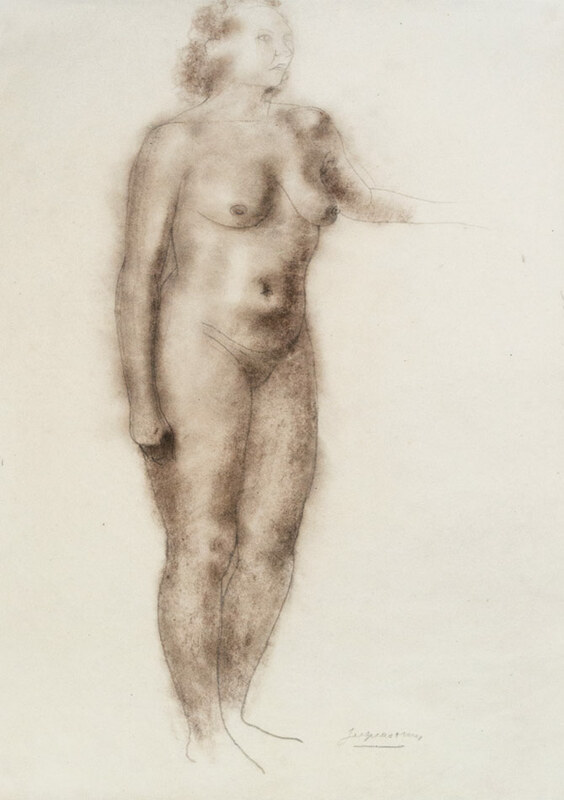 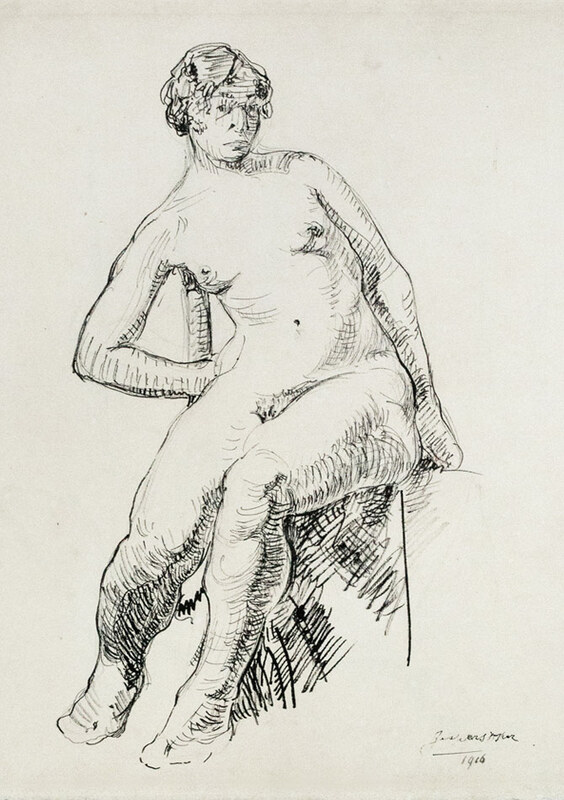 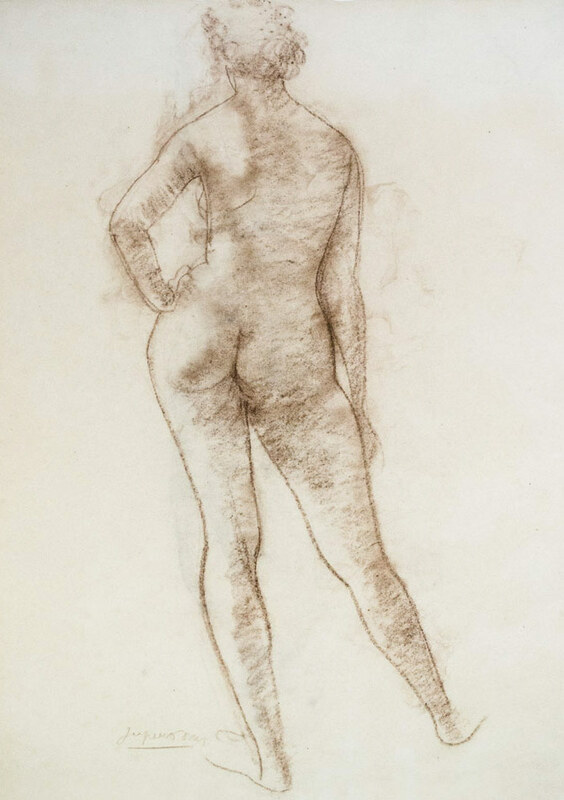 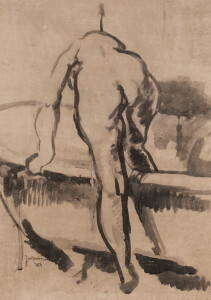 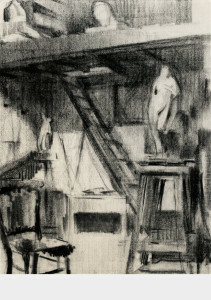 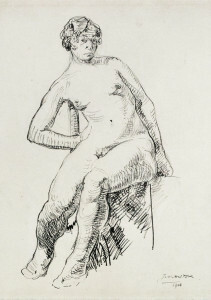 It was in 1946, during the period of female figures in bronze, that he began to draw much more. 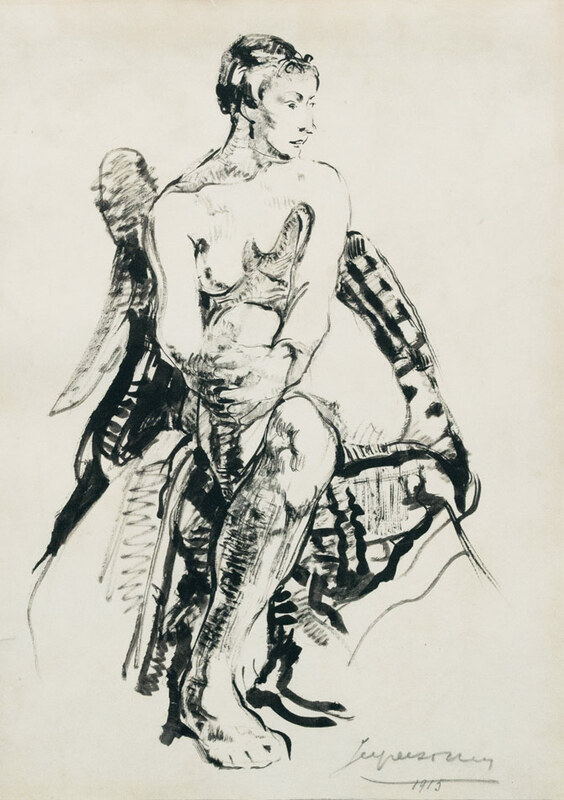 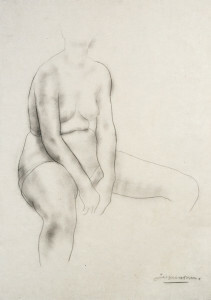 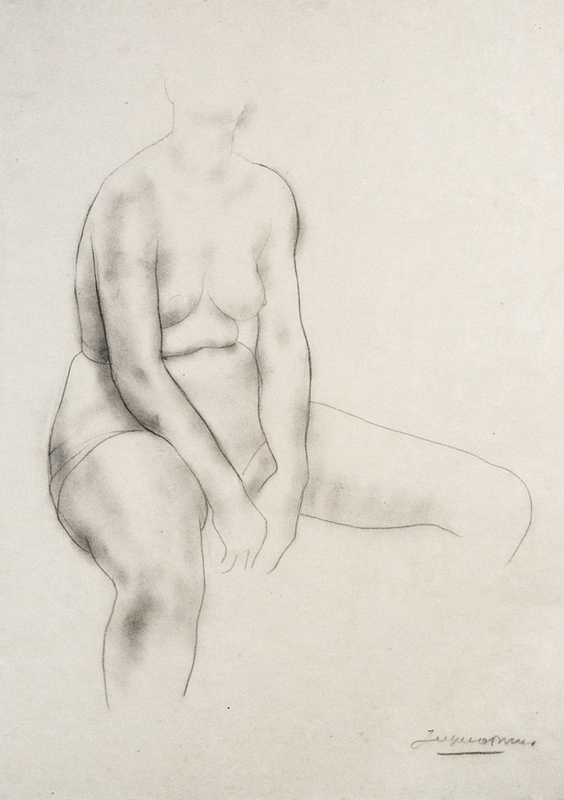 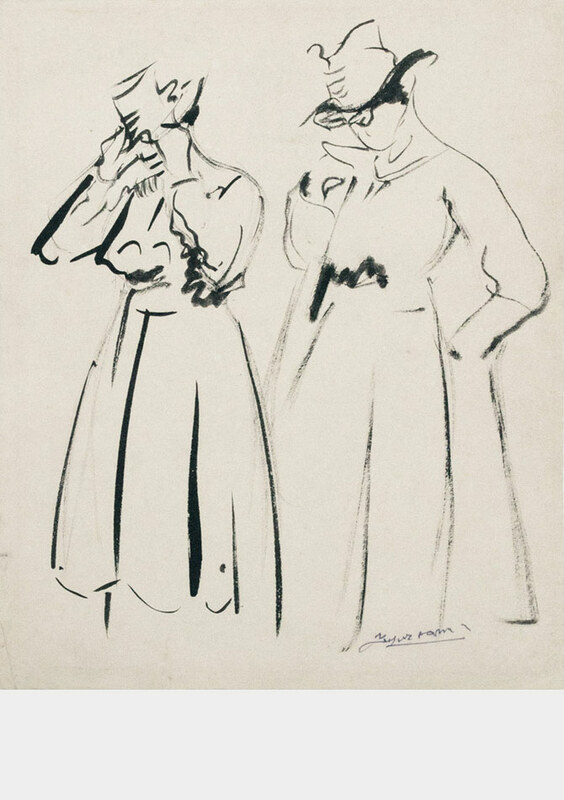 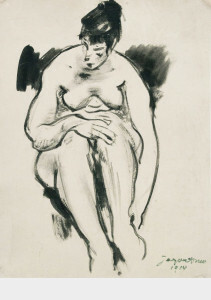 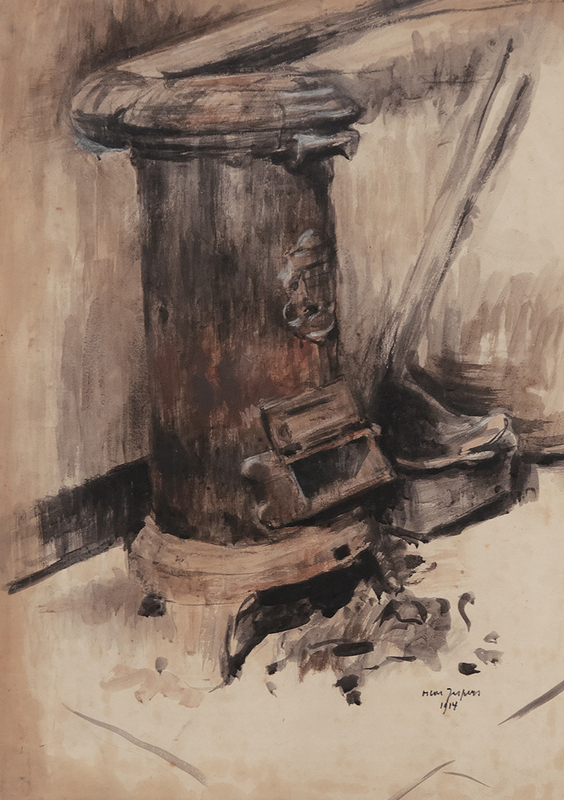 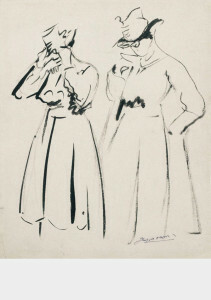 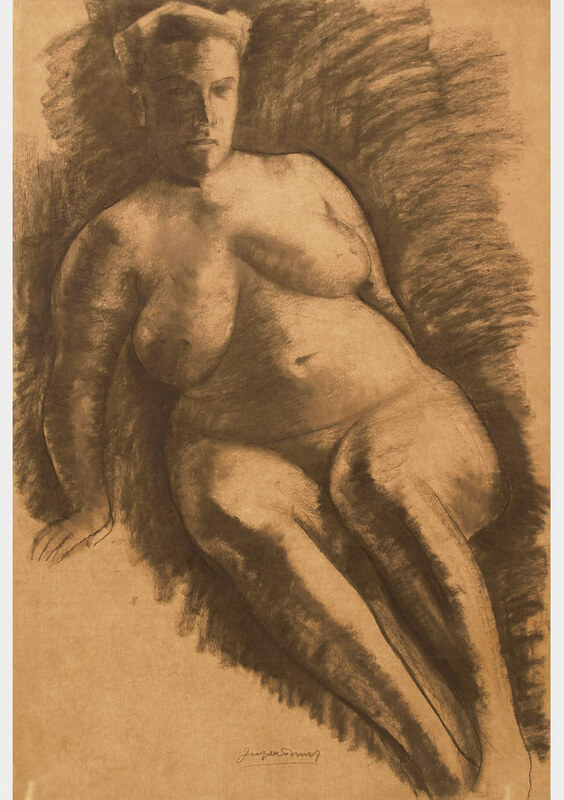 Then, between 1950 and 1960, he made a series of expressive large-scale drawings.